A thousand years ago evil came to the land and has ruled with an iron hand ever since. The sun shines fitfully under clouds of ash that float down endlessly from the constant eruption of volcanoes. A dark lord rules through the aristocratic families, and ordinary folk are condemned to lives in servitude, sold as goods, labouring in the ash fields. But now a troublemaker has arrived, and there is rumour of revolt. A revolt that depends on criminal that no-one can trust and a young girl who must master Allomancy - the magic that lies in all metals. 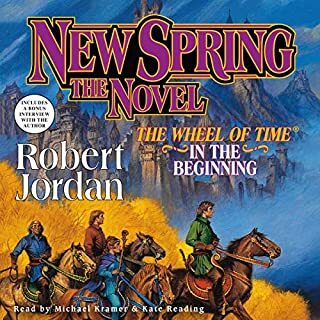 I was first introduced to Brandon Sanderson through his contribution to the Wheel of Time series and was keen to see what his unique view of fantasy would be. I was not disappointed. 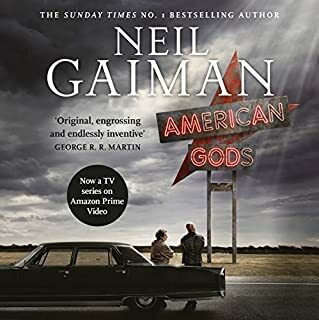 The writing style is potentially something to get used to if you like things fast paced - there is a tonne of description, character and plot building. Once you get into the rhythm though I loved it. I'm really into narrator Michael Kramer now, at first his voice irked me a little, but again, once you pushed through a little he is able to put colour and character into the story without it being distracting. The Final Empire is a really unique, interesting spin on fantasy, yes there are most of the usual tropes, but in all I found it exciting, I loved the story line and most of all I loved the surprises. I couldn't stop listening. Great detailed world and indepth characters. It started a bit slow but the detail was worth the explaining, as the intricacies politics and twists later in the story were worth the wait. Looking forward to reading the next book in the series. What made the experience of listening to The Final Empire the most enjoyable? What was one of the most memorable moments of The Final Empire? excellent read, cant recommend it high enough. The best Of Just as Lachlan the weekend parky and. Great book with a very good, flowing story and amazing characters. Narration was very immersive with consistent and appropriate accents throughout. This book was unlike any I’ve read before. Brandon writes in such a creative unique way which constantly leaves the reader guessing. At no point during this book was I able to confidently say what I thought would happen next. It started slow and just built into an awesome experience. I recommend anyone considering this book to take the plunge. The narration is perfect, Michael Kramer does a great job with the characters and each of their idiosyncrasies. Can’t wait to get stuck into book 2! Great story and narration, but cut off at the end! This is an amazing story line, so inventive and involving. I found myself completely hooked. Michael Kramer really brings the character to life. The audible book finished early (about a chapter) so I emailed Audible and they fixed the problem in minutes. Thank goodness, that last 30 mins so set the scene for Book 2. This is a good intro to a new trilogy and a new fantasy universe with an interesting magical system. the characters are reasonably well drawn and Sanderson is pretty genre-savvy. the pacing of the book is excellent, and I found the twists quite surprising. Many of the themes are very thoughtful and I welcome his gentle challenge to many of the assumptions that inform orthodox fantasy novels. The narration is good, though the narrator does choose some pretty stereotypical 'voices' for the villains. This tends to broadcast whether the character in question is a 'goody' or a 'baddy', which is disappointingly simplistic and unnecessary. On the other hand the characters unmistakeably wear white hats or black hats and there are no shades of grey in there. Nice to have a female protagonist who is somewhat complex as well as being kickass. Would you consider the audio edition of The Final Empire to be better than the print version? I did not read the printed version. It's characters and it's explanations of the physical 'mechanics' of allomancy. He does an extremely good job at conveying the mood of the environment in which the story takes place. Climaxes are also very well emphasized. Consider me a fan! Several moments between Kel and Vin, and also a a few moment between Vin and Elend, especially the humorous conversations. I am in awe at what can be accomplished using words. This is truly a piece of art! 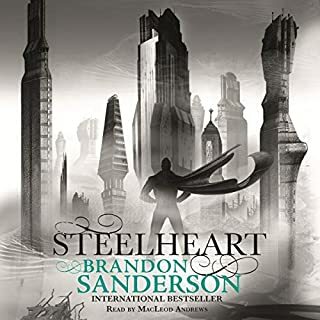 This is my first Brandon Sanderson novel and I have to say it was a real treat. The audio narration was exquisite. Michael Kramer’s deep tones complimented the richness of the prose which served to create an immersive reading/listening experience that had me looking forward to my times on the exercise bike and the commute to and from work. There were times when my mandatory 30min cycling blew out and other times when I wished I didn’t get to work so quick. Where are the red lights when you want them. I like Sanderson’s world building. It may not be as detailed and complicated as say Steven Erikson’s Malazan series, but I don’t see that as a negative. 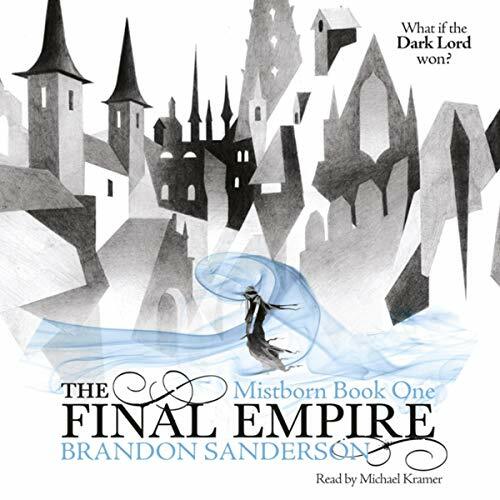 What Sanderson achieves in The Final Empire is world building that is rich yet accessible, fascinating and mysterious but at the same time doesn’t hinder the plot. 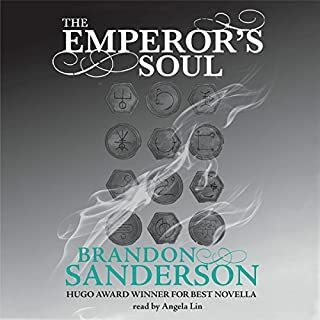 In the world Sanderson creates, we have The Lord Ruler, An immortal Tyrant with god like power, who has ruled The Final Empire for a thousand years. On the bottom end of the scale, we have the oppressed lower class ie the Skaa, who are ruthlessly used and abused by the noble houses who are in turn overseen by the Lord Ruler’s religious institutions, The Steel Ministry and The Canton of Inquisition. The characterisation was excellent. I don’t think there was any character that I found boring or didn’t care what happened to. Even the minor characters were well constructed. Vin, the main protagonist, is a young Skaa street urchin surviving on the streets by her wits as well as a special talent that makes her useful to the thieving crew she works for. But the star of the show has to be the magic system. I don’t think I have encountered a magic system in any fantasy novel that is as fascinating and well thought out and explained as in this book. 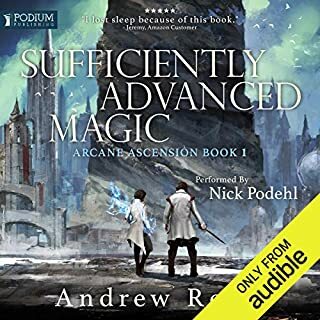 Sanderson takes an almost scientific approach to “Allomancy” (the main magic system in the story) with very well defined rules and limitations. Magic costs, Magic needs to be fueled. Magic can have unintended consequences. An Allomancer (AKA Mistborn) fuels their abilities by ingesting the associated metal or alloy and then “burning” the metal required for the particular Allomantic effect. For example burning steel allows the Allomancer to “push” metal objects while burning iron enables them to pull on metal objects. 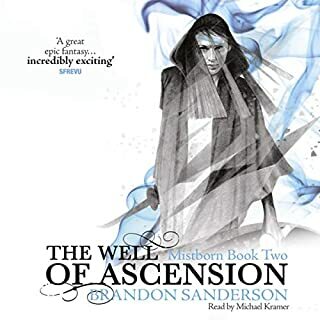 The result being a skilled Mistborn can use these abilities to send metal projectiles hurtling towards enemies or they can use a combination of pushing and pulling to launch themselves into the air in virtual flight, “spiderman” style. Sounds easy? Except the Allomancer has to be aware of things like the physical weight of objects being pushed and pulled. Push against something heavier than yourself and you will fly backwards – which is ok if that’s what you intended. Or pull against something lighter than yourself could see a hunk of metal hurtling directly towards you – again ok if you intend to duck at the last minute and hit the guy behind you. Otherwise you’re dead. And that’s just two of the metals, there are at least 10 with effects from increased strength to enhanced senses to mind manipulations. Sanderson skill is in taking us on a journey of discovering these abilities in a way that is not daunting or over complicated. Rather the introduction to the magic felt natural to me and I just found myself wallowing in it. 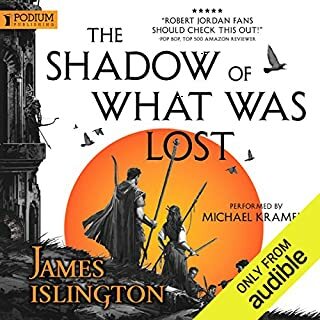 Where does The Final Empire rank among all the audiobooks you’ve listened to so far? This is an amazing book, absolutely loved the story, the characters, the plot twists, the very world it was set in! This series will probably be in my top ten favourites for a while, itching to get the next one. To be honest I think what I enjoyed most about the book was the characters and how they interacted with eachother and the world. For me it's a toss up between Kelsier and Sazed when it comes to my favourite character, both brilliant and proactive characters who held my interest deeply entwined. I'm sure there were many moments that moved me, though nothing particular jumps to mind at this very moment. This book is amazing, listen to it NOW!!! You shalt not regret it! Well written and narrated. Compelling story that makes you think you have all the answers....of course you don't. 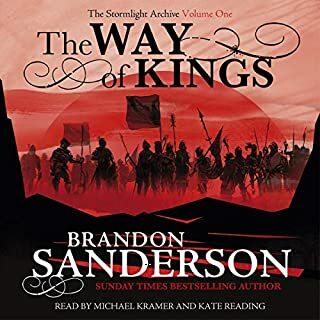 First purchase on Audible, though I'd read Sanderson's stuff before. Took a little getting used to listening to a story rather than reading it. Other than that, the story just slides off the page - and into your ear. The telling is also masterful and captivating. Already on the last book. Pretty high, I'd have to say. 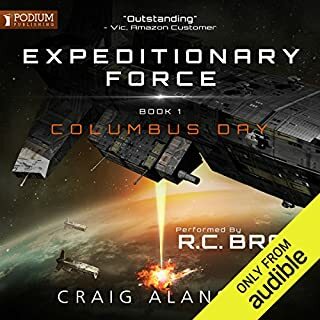 I'm fairly new to audio books, but the narration was engaging, and the plot kept my attention. I can't go past Kelsier. I'm a sucker for the sacrificial revolutionary hero. Vin taking out fellow mistborn Shan with a genuinely cool trick. "The jukes", as my friends would have called it. It took me through some hard work late at nights, and I'm grateful for that. Brandon Sanderson is a master of original wish-fulfilment. His simple prose entraps and transports; a solid job from the narrator combined with the engaging plot to keep me listening well past the time I should have hit pause, night after night. First one of his performances I heard. His voice took a bit of time getting used to, but the performance was solid. I missed some excitement in battle scenes, which were being read in the exact same way as every other scene. Some people might prefer this but I like when the tone of the voice tells me what's happening as well as the words themselves. No, there were too many slow parts. While I ended up really enjoying the book, I wasn't so sure I would in the beginning. The book starts off very slow, with not much happening. It's not even clear who the main character is the first 4 hours or so. Afterwards, the story picks up and becomes really interesting. The pacing is still slow, and you can easily summarize what happens in the first 10 hours in less than a few minutes. It didn't bother me because it was interesting to read what happened, but it may turn fans of action-packed stories off. It's categorized as epic fantasy, but those expecting a long journey full of encounters will be disappointed. Most of the story takes place in a single city, and way more time is spent discussing how to fight an evil empire, rather than actually fighting it. When the fight scenes do occur, the magic system in Mistborn makes them very unique and unlike any others you might have read before. While there's a decent amount of action, the majority of the book is spent developing a storyline and its characters. The story itself isn't actually all that special or original, but the character development and the way things unfold make it worth listening to. I'm torn on the writing. Most of it was solid, but there were more than a few conversations that ended every line with the words "he said", for 10+ lines in a row, which feels amateuristic and got annoying. Overall, the first few hours I felt like returning the book, but the reviews of others kept me going, and I'm really glad I did. it turns into a really good book. Just be warned that it's a lot slower-paced than most epic fantasy books. 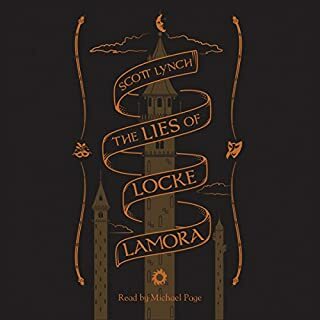 As with all my choices ATM I chose this book in the hope that it would help me quell my frustration at having to wait for Patrick Rothfuss to finnish his Kingkiller trilogy! To be very honest it took a good 4hrs of listening and patience to stick with the story, to understand the setting and to get to know the characters. I'm glad that I didn't give up. The book delivered and its a very good listen. I've gone on to listen to listen to book 2 and about to download book 3. 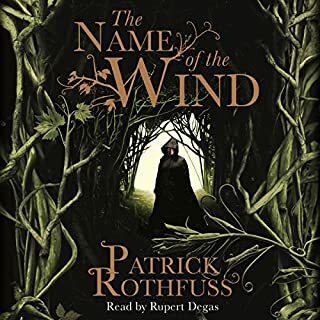 I'm now very attached to the characters and can't wait to see how it all ends, it's much better to listen to the trilogy in succession rather than have to wait years. Straight off, I'll admit that I'm not a reader of fantasy novels. I'm not averse to them, but they never leap out at me and make me choose them over a good biography, historical naval adventure, or the occasional bit of sci fi. However, on this occasion I just saw it, and thought that I should give it a whirl for a bit of a change. I have no regrets with the decision. Whilst this is quite a long book, the story moves at a good pace, never dragging and never racing too fast; it is well written, not prose bordering on the poetic, like Mr Rushdie, but pefect for the tale being told. Whilst not wanting to reveal story details, it is very reminiscent of Frank Herbert's Dune in the depth of world that has been created and the politcal grounding of the story (don't worry, the book is not a political statement - such books are not my cup of tea). 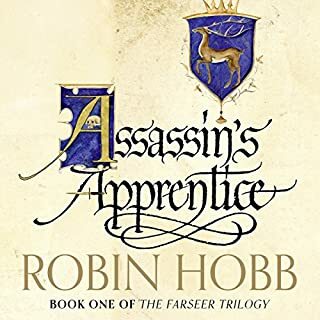 Yes, I have to admit that some of the characters are thinly fleshed out; however, from vast experience of reading books which are praised for the depth and detail of all of the characters, I think that it is a good sacrefice for stary telling tempo. 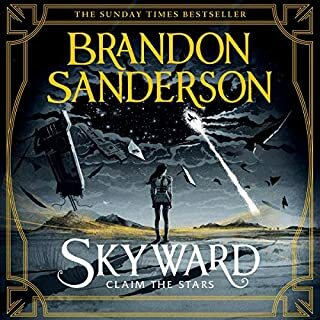 After listening to this book, I would imagine that Mr Sanderson is well on his way to being considered as a master of his genre, should he not already be considered so, and I imagine that the film rights to this book have already been bought. If you have found that yourselves feeling the need for a change of style, then I highly recommend this book as your metaphoric sorbet to cleanse your literary palate. 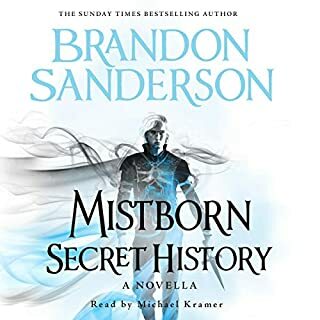 How Brandon Sanderson can write so many novels within so many series within such a short space of time when it takes the greats like George R R Martin 4-5 years per book is beyond me. On top of that, they are very well written. 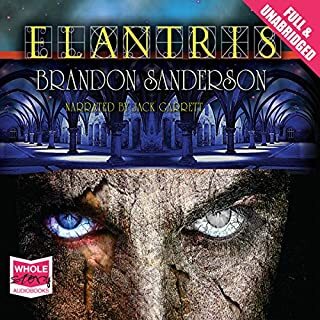 If there is one thing that makes Brandon Sanderson stand out from other fantasy authors, it is his ability to invent a complex and innovative magic system that is easy for the audience to understand. In this case it is allomancy; the power to burn metals inside the body, with each metal providing a particular power. If you favour magic in fantasy stories, Mistborn provides one of the best kinds. The character developments are also very nice, seeing the main character blossom from a timid, and untrusting child to one of the most powerful allomancers ever born was done gradual enough to make it believable and it kept the story ticking along at a very nice pace. Every one of the characters in the main circle of friends was detailed and likeable – which makes a huge change from most stories, where there is always an irritating character or two. 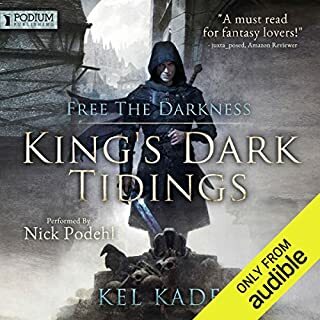 Michael Kramer is one of the very best audiobook narrators out there – he portrays sadness, happiness, comedy, action and all other scene types masterfully and he makes the enjoyment of the story far easier than most narrators. His voice acting is also superb. Each character has a subtly distinctive voice, and you will definitely not be confused with who is who in a conversation. This was my first Michael Kramer audiobook, and I was reluctant at first due to his southern USA accent. I am glad I delved in though, and I urge you all to give him a fair chance. If you are member, it is worth a go, even if you have to return it for a replacement later. Apologies for the star ratings not matching the written review, I am forced to round halves on Audible. 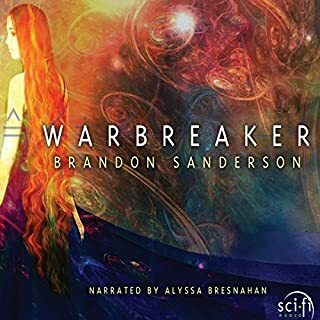 It's been a while since I saw anyone bring anything new to the genre but Brandon Sanderson has created something unique in this setting, I won't give too much away but he's developed a really creative magic system. Michael Kramer also does a good job with the reading of the book, he adds a little characterisation to the voices of the characters but doesn't overdo it. Well write with excellent characters especially the main Female character. Fantastic and original Magic system that puts this series of books apart from other Fantasy fiction. Brandon writes very cleanly and I would prefer more gritty detail to spice up the story, but to be honest the story is perfect as is. I recommend this book, I was surprised at how good it is. So let's start with the positive; his concept of a 'magic' system is very intriguing, novel and ultimately very satisfying when coupled with a decent action scene. The storyline and backdrop is also very interesting although the plot and character style seems to change focus at times, something that the author has himself admited in articles I've seen. I think I'd rate this 3.5 stars if I could. My main criticisms are the very basic writing style plus the lack of gritty detail and descriptive elements. The author constantly uses the same words and phrases over and over again, and seemingly has no hesitation in describing conversations between characters as "she said, then he said, then she said, then he said" etc etc, almost as if his vocabulary is limited. You often find characters in rooms or settings where nothing is described in detail and the characters themselves aren't particularly 'fleshed out' sufficiently at times. The monotone narration I would rate as poor, which probably compounds the issues I describe above. It started slowly and I was not quite sure I had made a good choice. But books often take a few pages to get into. Once I did I couldn't turn it off. This is one of the best fantasies I have read in a long time and I cannot wait to start the next. It is the usual mix of good versus evil with strong characterisation and almost believable magic. A really enjoyable read. A totally new form of magic use, sublime in it's creation fantastic in it's theories and moulded amazingly well into a story of a young street urchin who found in bud then blossoms into a noble woman and a metal burner extraordinaire! One of the most original magical genres used in a great new rendition of the diamond in the rough comes good storyline, with some hideous villains in the shape of the Steel Inquisitors. I would recommend it to anyone and will be reading the sequels. I enjoyed literally every word in this book! Highly recommended to fantasy and suprise lovers! 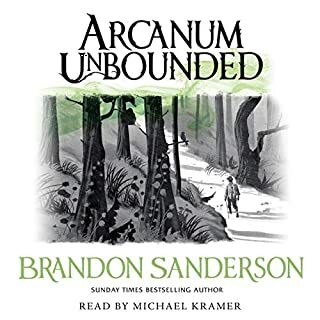 Mr Kramer narration/ performance is brilliant , awesome characters , fantastic epic fantasy world including a very interesting take on magic written by the one and only Mr Sanderson............it only gets better and you can't often say that these days.